Honestly I'd give it another try at some point, perhaps with the player base slowly declining It is also helping. Let's not forget how much of an awful launch the online was, despite GTA 5 selling record amounts. It must of got better in the last 12 months. It left a bitter taste in my mouth to try it again. I'm really not sure as I've completed all heists etc before without an issue. SSD is irrelevant, I haven't used a spinning disk since 2010 (on a 970 NVME now). During online games, you used to get stuck 'in the clouds' for minutes at a time and sometimes get passed back to offline mode. This is a result of using P2P server instead of dedicated hosts. This was a well known problem with people reporting it as often as the cheaters on the platform. The most frustrating game mode to play was heiests with people rage quitting when getting stuck in the clouds causing the team to alot get sent to the clouds only to have to find a new team member and waiting all over again. Can I play this on Steam? is this like the final edition that includes everything? I bought this last time it was on sale for £12.99 It does indeed include the base game. From the description "Purchase this bundle to get Grand Theft Auto V and the Criminal Enterprise Starter Pack. Please do not purchase this bundle if you already own the Criminal Enterprise Starter Pack. More details below." I want to buy, but my brain is saying “you already purchased this in PS3 and PS4, plus it is about 120gb by now.” ...F*** off brain. I’m gonna buy!! I'm so close to ordering this, but as much as I'd find the PS4 version features useful, I don't think I'd play it much! Absolutely, and for the three people in the world that still don't own GTA V, they've got a great deal here! Should be this price as standard now. I hope Rockstar are getting GTA 6 made as we speak, GTA 5 is getting oooold. You need to get the Steam version for it to work on Nvidia Shield TV. Keep an eye on Steam as it gets reduced every so often. So would you therefore advise that I should not buy if I wish to use it on the Nvida Shield? You probably should have put it’s a used copy in the title! I'm probably the only person left in the world who has a games console and hasn't played this yet.... Have i missed out? Never miss a 'GTA V' deal again! Same. The money is for online but haven't tried online yet. Just been playing the story mode. It's a brilliant deal when you look at prices elsewhere. Thanks for the heads up. Purchased! Quite fancy a crack at the role playing mod. Need to read up a lot on that first. Great game completed on the ps3 years ago. Still being posted. It's a flying bike with rockets that griefers &amp; little kids use to destroy your business deliveries making the game rubbish if you want to try and build up your business. Unlucky on the yacht! I stupidly bought a couple of boats and commercial jets with my shark card money when i got the game. Eventually saved up doing missions and bought the Khanjali unfortunately it's essentially useless now everyone has the oppressor. Achievements, some people like to boast their position on Steam so if they have to play via another installer then they hate them. If you're not interested in achievements then buy away. 1. You do care - you clearly stated you didn’t want another launcher. 2. &amp; 3. No it won’t show on another PC. however, if purchased through steam, it will launch the Rockstar client and make you enter your username and password for that service anyway. The only disadvantage to not purchasing on Steam: you’d have to browse to the GTAV website first when installing from scratch. Frankly, I think this is hardly a dealbreaker and just an excuse to post something negative about the deal. 1. Steam will simply launch the GTAV launcher anyway. 2. You can add GTAV to Steam as a non-steam game. It will then function in exactly the same way as if you’d bought it in Steam. When u say done on xbox one? U mean 4 your xbox one account? Can this be done on Xbox one? If so, can someone tell me how please? It's been a while now, there was a huge thread on their support forums but lots of people trolling on their and trying to ake the unjustly banned mad, the huge thread on the GTAForums too, they just won't listen, they have reimbursed my shark card cash but starting fro level 1 and being unable to buy anything till a huge level grind and losing all my earned cash and items too is too annoying, I abandoned the game in my steam account. I was so mad at the time because I spent way too many hours on that game, probably be on it right now if my account wasn't wiped. Go through the main link on this post and scroll down and you will see it. Where u get that? Bargain! Doesnt work for me either. Says £49.98 then goes down to £37.48 with the Wintermadness code. Are we missing something or has the price gone up now? Sorry, missed it. My mistake! What are the sharks cards? Take it you get the full game with this? Log on to GTA online this weekend to receive $250,000 in-game GTA dollars. Last chance this month. It was the same price in december. Cheapest ever? Or was cheaper a month or two ago? Expiring this as better price now available for it and a deal for it has been made. Is there a Rockstar Social Club launcher? Or is it just a GTA V application, in which you then log into your RSC account? I'm in no rush to purchase, so will likely wait for a Steam deal, but if it's as simple as adding a GTA V app to Steam I guess there's no huge reason to. Shark cards lol it is easy to get free money on GTA pc if you use Google and find a modded lobby. Rockstar have made over a billion from this game selling shark cards. The picture you used for Sunset Boulevard is actually from Midnight Club LA, not GTA V but good find OP! Grand Theft Auto V, often also referred to as GTA 5, is an action-adventure title. It was release in 2013 and is part of the GTA series created by games developer Rockstar North. 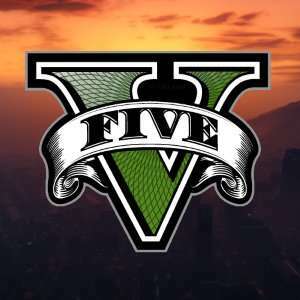 It’s set in a fictional South Californian city called Los Santos and follows the activities of three criminals, all searching for new ways to make money. You play in the first or third person view, travelling through the landscape on foot or by car. Grand Theft Auto for the PlayStation One, PC and Gameboy was released in 1997; like subsequent titles in the series it was an open-world game. Game play involved missions that could include shoot outs, racing and illegal activities, making it slightly controversial, but GTA was still a success with critics and the public alike. By 2013, the franchise had become a major name in the gaming world, and over the years four more expansion packs were released along with eleven standalone games. It is the fourth bestselling video game series of all time, shifting an impressive 250 million units around the world. 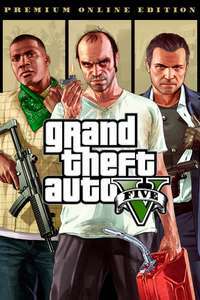 There are two individual editions of Grand Theft Auto V. The original version was released in September 2013 for the PlayStation 3 and the Xbox 360. The subsequent edition was released in June 2014 – it was designed for the PC, the Xbox One and the PlayStation 4. There are three sub-editions for this first release. The enhanced second edition GTA V contains the additional content of the previous versions plus extra features, some of which are exclusive to Rock Star Games Social Club players who bought the original edition. The members-only Social Club is managed by Rock Star Games and free to join for people who have purchased and played their titles. The Standard Edition – The cheapest GTA V edition, this version includes a full copy of the game along with a printed map and a code which enables players to fly the Atomic Blimp: an air balloon that hovers over the city. This version of the game is still widely available online. If you’ll be playing on a PS3 or an Xbox 360 and you just want to experience the game, it’s ideal. The Grand Theft Auto V Special Edition – This version includes the Blimp code, a full copy of the game, a map, new artwork, a steel book case and in-game bonus features. The three main characters all have a special ability boost, there are more outfits, customisable items like tattoos, additional weapons and stunt plane trials to take part in. Slightly more expensive than the standard version, this edition is a good choice for people who want a few GTA V extras without investing too much. The Grand Theft Auto V Collector’s Edition – In this version you’ll get everything that comes with the other games plus a branded cap, a deposit bag with a key and extra in-game content. You can play as a range of classic GTA characters if you go online and you’ll also be given a garage that’s complete with a few unique high-end vehicles. This edition comes in a laminated presentation box with an embossed GTA V logo. This will be a must-have for collectors and serious fans of the game, as it includes a range of branded items that were designed just for this release. Copies are still available at Amazon and eBay although it’s worth remembering that the game itself is designed for the PS3 and Xbox 360 rather than next-gen consoles. 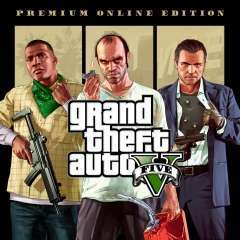 GTA V Enhanced Edition – In June 2014, around a year after the original version of the game was released, the enhanced edition was promoted using a trailer. This was designed for next generation consoles, like the Xbox One and PlayStation 4 as well as the PC. It was eventually released for consoles in November 2014 and in April 2015 for the PC. In this version, the publishers have included special edition in-game content and bonus features which can be unlocked with the virtual cash collected during play. If you already own a Collector’s Edition or Special Edition, these extras will still be available for free. 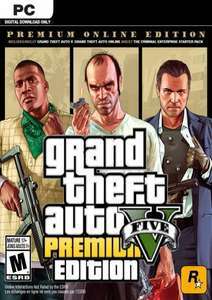 Later in 2014 the special content was also made available for people who bought the new version of GTA V for the PlayStation 3 or the Xbox 360. The bonus elements include a Dodo Seaplane, a classic American muscle car, a sports car called the Blista Compact, a submersible vehicle and a 1969 Dodge Charger much like the one on GTA IV but with an armoured exterior. In this edition of the game, players also gain access to two new types of weapon: the Rail Gun and Hatchet. Several side missions have been written into this version, which players need to complete in order to unlock the new content. These include a photography challenge and a murder mystery. Players who were veterans of the franchise might be surprised by the new first-person view perspective, which can be displayed in cars or on foot. You can switch between this and the third-person view at any time during game play. If you play online with a PS3 or Xbox 360 game, it can be transferred to this later version. The port can only happen once, but your character will still be available on each platform. If you continue to play on the old platform, progress made after the transfer will not be shown on the new platform, similarly, progress on the new platform will not be shown on the old platform. If you have a next-generation console or a powerful PC, there’s no doubt that this is the best version of GTA V for you. It’s a slick, fast and immersive experience enhanced for the innovative graphics of a high-spec PC, PS4 or Xbox One. Is it Possible to Extend the Gameplay on GTA V? You can enrich the experience of playing GTV V in various ways, here are three of the most popular with gamers. GTA Online – The multiplayer version of GTA V was launched in October 2013. In it you can play with up to fifteen other people. The game dynamics are similar to those in single-player – you can go anywhere you like, but some missions have set locations. You can either play with people on your friends list or wait to be invited to a group game. Once it gets started, other players are marked as a white spot on your screen; you can join in a range of group activities with them or go off on your own. Group activities will bring 20% more rep points, so you can build your abilities and ranking faster. However, there are hazards. Some players use GTA V online games to shoot at others and leave car bombs, so stay alert. 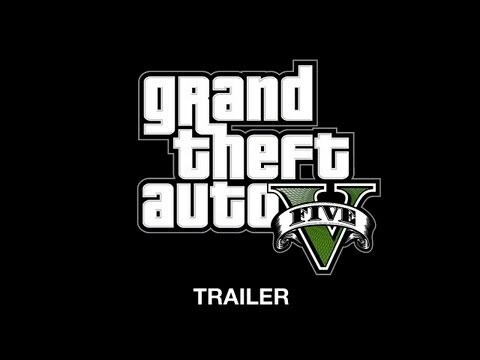 Downloadable Content – DLC for the PS4, Xbox One and PC versions of GTA V is set to be released in mid-2017. The online Gunrunning update will be centred on characters finding military grade weapons stashed around Blaine County, then selling them on. Using Mods – Mods are lines of game code which are changed by players to alter content. This can include anything from small texture changes, like t-shirt slogans, to massive alternations, like whales appearing in a swimming pool. Mods are mainly used on PC games as they are far easier to install on a computer than on a console. People use them to make the experience more quirky, humorous or personal. Finding Cheat Codes – Not all players agree with using these codes, but if you need cheats for the PS3, PS4, Xbox 360, Xbox One or the PC version of GTA V, they are available. A cheat code can help you to complete missions more quickly and avoid areas of the game you find boring. 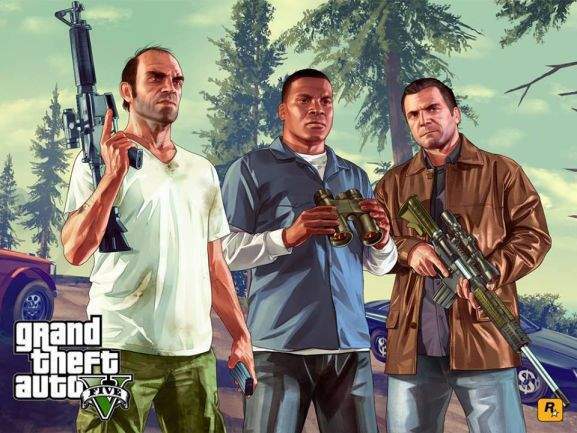 Grand Theft Auto V tells the story of three very different criminals. Ex-bank robber Michael is living in apparent luxury after retiring into a witness protection program, but his family life is chaotic and he misses the old days. Trevor is a slightly deranged, immoral meth-dealer, and Franklin works as a repo man for a local garage but craves a better life. They’re all interesting, well-padded-out characters with a solid backstory and soon unite to carry out various money-making heists. In the beginning, you’ll get to know each character better on solo-missions, but they are later brought together for bigger, more explosive jobs. Playing in first or third-person view, you can navigate through this vibrant South-Californian world in a range of vehicles or on foot. Harassing, abusing or killing local residents will attract police attention fast, so unless you want that extra hassle it’s worth your while to move amongst them peacefully. From the neglected districts of Los Santos to the sparkling boulevards of Vinewood (a thinly disguised Hollywood), the game is beautifully detailed. Locals populate each area, selling hotdogs, chatting, dog-walking or just enjoying the sun. On the desert roads outside the city you’ll encounter the local biker gang and eccentric UFO watchers. This is an especially atmospheric game filled with exhilarating missions, believable characters and even a few nods to previous GTA games. What is Unique About GTA V? Gamers and critics often mention the attention to detail in GTA V as what singles it out from other games. Flip flops sound authentic as you stroll along the street, warm car engines tick when they’re cooling off and your style of driving can attract unwanted attention from other characters. The voice acting is also exceptional, Ray Liotta did an unforgettable turn in Vice City, and in GTA V the tradition of using genuinely talented actors continues. Coupled with inventive storylines and astonishing graphics, these elements ensure GTA V is a remarkable game. How is GTA V Rated Online? GTA V or GTA 5 has been a hit with both consumers and critics. On Trusted Reviews it has earned a top score of five out of five. The review aggregator Metacritic awarded the PlayStation 4 version of GTA V a score of 97 out of 100 based on the reviews of 66 critics. At IGN, a 2014 review of the PS4 and Xbox One versions gave the game a rare 10 out of 10, calling it ‘grand in every sense’. What is Good and What Needs Improvement? The standard edition of GTA V for the Xbox 360, PS3 and PC can be purchased from large online retailers like Tesco, Argos or GAME as can the enhanced PC, Xbox One and PS4 version. Alternatively, it is available as a download from vendors like Microsoft or the PlayStation Store. For the Collectors’ Edition which is more difficult to find, you can shop at either Amazon or eBay. On Black Friday, games are reduced in major outlets like Asda, Argos, Tesco Direct and Smyths Toys as part of the annual event. The same stores and online retailers like Amazon, will also run entertainment department sales at other times of year, usually in summer or in the run up to Christmas, when numerous gaming titles are reduced. Grand Theft Auto remains an impressive title, and to find the cheapest UK prices, gamers can head over to the hotukdeals page, where we list all the best offers available.